rying lakes and rivers, declining groundwater resources, land subsidence, water contamination, water supply rationing and disruptions, forced migration, agricultural losses, salt and sand storms, and ecosystem damages are the modern water-related issues of a nation which was once recognized as the pioneer of sustainable water management. The government blames the current crisis on the changing climate, frequent droughts, and international sanctions, believing that water shortages are periodic. However, the dramatic water security issues of Iran are rooted in decades of disintegrated planning and managerial myopia. Iran has suffered from a symptom-based management paradigm, which mainly focuses on curing the problem symptoms rather than addressing the main causes. The separation of “development” from “environment”, and aggressive shortsighted regional development plans have resulted in unintended water problems whose long-term costs are significantly higher than their short-term benefits. No matter how advanced the Iranian water management system is in comparison with the other countries in the region, there is no doubt that Iran is currently experiencing a serious water crisis. In theory, Iran is currently experiencing the growth and underinvestment problems that the West experienced in the 20th century or even today. However, what makes the current problems in Iran different from similar problems in the West is the depth and extent of the secondary impacts of development. Rather than proactive management to prevent water problems, Iran’s reactive management has focused on curing the symptoms, whereas the causes of the problems are becoming worse over time. While the public, experts and media continuously warn about the major water crisis symptoms, less is being said about the main drivers of the crisis and effective exist strategies. But, what are the main drivers? Iran has experienced a significant population increase in the last century. Iran’s population almost doubled within the last two decades of the 20th century, right after the Islamic Revolution of 1979, which promoted different socio-economic, cultural and ideological changes in Iran. In addition to a sudden population growth, an inappropriate population distribution is challenging the Iranian water managers. Most Iranians have preferred to live in regions with better water availability. Due to increased migration from rural areas to urban areas for better living conditions, the urban population is currently about 70%, higher than the 27% in the 1950’s and the44% in the 1970’s,. 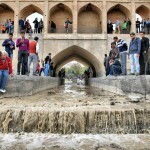 Eight Iranian cities have a population of greater than 1 million while the population in the metropolitan Tehran has surpassed 14 million (18% of the country’s population), despite its limited access to water resources. Despite the fact that population increase is one of the main causes of the water crisis, the government of Iran is now showing a strong interest in boosting the current population growth rate of 1.3%. This interest is rooted in concerns about the projections of age distribution in the future. What is clear though is that Iran definitely lacks the required water resources and infrastructure to satisfy increased water demand. Without strong population distribution adjustment and water consumption reduction measures, the population growth can have catastrophic effects, if spatially uncontrolled. Iran has always suffered from a seriously inefficient agriculture, which heavily relies on irrigation and consumes most of the country’s limited water resources, mainly due to its oil-based economy and negligence towards the economic efficiency of the agricultural sector. While only 15% of the country’s area is cultivated, this sector is responsible for 92% of the water consumption in Iran. Since the Islamic Revolution, the government has tried to be supportive of this sector to achieve food security and increase the non-oil production revenues. This policy was of particular importance and turned to be helpful during the Iran-Iraq war. Nevertheless, the economic efficiency of this sector has decreased significantly. Currently, this sector provides 23% of the jobs and its contribution to GDP is only 13%. Without a comprehensive plan for the empowerment of farmers and rural communities, populist actions of the Iranian decision makers such as substantial subsidization of water and energy to support the farmers have failed to increase welfare in this sector. The significantly cheap prices have not provided any motivation for increasing the production efficiency in this sector. The average irrigation efficiency is less than 35% and only 5% of the farmed area is under pressured irrigation. The rain fed agriculture is highly unproductive, mainly due to the rainfall patterns. The crop pattern does not match the regional water availability conditions and has remained more responsive to the traditional crop choices and farming practices as well as the government guaranteed crop purchase prices. More than anything, Iran’s water crisis is the result of decades of bad management. Iran has gone through significant socio-economic and political changes in the last century. While the desire for rapid modernization during the Pahlavi Dynasty had major socio-economic benefits, the modernization process was not free of effects on hydro-environmental resources of the country. The Islamic Revolution and the international pressure on Iran further strengthened the thirst for development and a desire to prove independence to the world. The Iranians have been more successful than most nations in the developing world in maintaining their independence in the realm of policy-making and relying on national expertise under major sanctions by the West. However, rapid development and the construction of major infrastructure with minimal concern for their long-term non-economic impacts have created water and environmental problems that call this success into question. 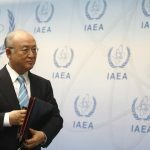 It is true that serious international sanctions have slowed down the development process in Iran by limiting the Iranians’ access to new technologies. But, Iran’s water problems are not due to a lack of access to technology or technical expertise, as some decision-makers claim. Indeed, Iran is suffering from disintegrated decision-making and problem solving by knowledgeable experts who act independently. One major cause of such disintegration is the water governance structure, which involves too many stakeholders and an undesirable hierarchy in water resources management. The main driver of uncoordinated development in Iran as well as other Middle Eastern countries is the thirst for development that prevents a comprehensive understanding of the complex interrelated dynamics and feedback relationship between the different sectors. A similar situation has been observed in the developed countries like the United States during their peak development phases, but they could develop effective mechanisms to cope with and to prevent the emerging hydro-environmental problems in the aftermath of rapid and shortsighted development. In Iran, however, water management relies on a crisis management paradigm. Actions are taken only after the problems have become so serious that they can hamper further development. 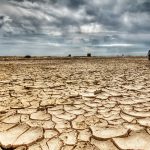 The water problems in Iran are far too many and significant to leave any doubt about the fact that Iran is experiencing a looming water crisis. Immediate mitigation actions are required to address the existing water problems throughout the country. There are good signs that the new government of Iran recognizes water security as a national priority at the moment and is trying to address some of the more evident water problems immediately. Nevertheless, fundamental changes in the current Iranian water management paradigm are essential to prevent the development of similar problems in the future and to secure sustainable water resources for Iran. Taking advantage of the West’s experience, Iran can adopt 10 major strategies to exit the current crisis. 1) Revisiting the new population growth policy in Iran: While the current age distribution of Iran’s population is undesirable and can have long-term negative socio-economic impacts, the negative consequences of uncontrolled population growth and rapid urbanization can be much more significant and alarming. Optimizing the spatial distribution of the current population should be prioritized over improving the age distribution of the population. Major urban areas in Iran are already challenged with satisfying the needs of the existing population. Without major socio-economic and political reforms to address the current imbalance of power and services throughout the country, migration to major metropolitans will continue. 2) Empowerment of the farmers and rural communities: This must be done by significant investment in the agricultural sector in order to modernize this sector and make it more economically efficient and attractive. Wealthier farmers will be more innovative and will have a tendency to maximize the economic efficiency of farming activities and water use. 3) Revising the crop pattern across the country: The current inappropriate pattern requires revision with respect to the national food security priorities as well as regional resource availability and economic efficiency conditions. Through different economic incentives (e.g. guaranteed purchase of specific crops in specific regions at certain prices) the government can promote crop pattern modifications. 4) Increasing water and energy prices: Prices should be raised meaningfully to be reflective of the true cost of water and energy in each region. This, of course, can have serious negative impacts on the socio-economic conditions of farmers in the short-run and can have a high political cost for the government. To prevent such impacts, the government must provide financial assistance and loans to the farmers who need to cut their water and electricity use through technological improvements. 5) Creation of regional cooperative agricultural management institutions: The government needs to provide incentives for the formation of irrigation districts, regional farming authorities, regional farmer co-ops, etc. These entities can boost the economic efficiency of farming by increasing the collective capacity in managing farming activities as well as crop sale prices at the farm level (which are currently far below the market prices). 5) Implementation of water market: The government must implement an efficient water market. Iranians are recognized for their success in regulation, allocation and trading water in the ancient times. Modern Iran also requires a reliable water market to increase the economic efficiency of water use. The implementation of a water market requires serious regulation and monitoring of water uses as well as creating a financial mechanism to support water trades. 6) Setting up environmental water accounts: To overcome the current crisis, the government should pursue setting up “environmental water accounts” and try to purchase water from farms with low economic efficiency and to recharge aquifers and recover damaged ecosystems. These accounts can also be recharged during wet years for ecosystem protection in dry periods. 7) Shifting from reactive to proactive management: Water management in Iran requires a shift from the crisis (reactive) management to the preventive (proactive) management that does not allow the development of serious water problems and ecosystem damages. Such a management paradigm recognizes the interrelated dynamics of the water sector with other sectors, cures the problem causes rather than its symptoms, manages water rather than controlling it, and benefits from effective non-structural (soft) solutions (e.g. regulations, institutions, taxation, monitoring, population control) as much as it benefits from structural (hard or engineering) solutions (e.g. dam construction, water diversion, using irrigation sensors). 8) Optimal distribution of water management efforts: The government should balance its efforts in restoring versus preventing ecosystem damages. 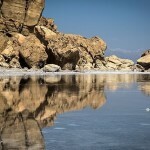 While the efforts in solving the evident water problems (such as the Lake Urmia tragedy) must continue, Iranians should not forget that upcoming problems (e.g. groundwater tragedy) can be much more catastrophic in scale if timely actions are not taken. So, the government needs to put serious efforts into detecting the emerging water problems before they become too costly to resolve. 9) Revising the current water governance structure and empowerment of the DOE: The current management structure must be revised in order to remove the unnecessary hierarchies, reduce the opportunities for corruption, minimize the number of stakeholders and conflicts, and empower the Department of Environment (DOE), which is politically weaker than the other government sectors such as the Ministry of Energy (responsible for managing water and power) and Ministry of Jihad-Agriculture (responsible for managing agriculture). If development is to be sustainable, DOE must have the required authority to enforce environmental regulations, environmental impact assessments, and environmental taxation. 10) Making the society more environmentally-educated: While the decision makers must take the main responsibility for the current water status in Iran, the Iranian public should also be blamed for not valuing ecosystem services and demanding healthy environmental systems from their government. Citizens, environmental activists, NGOs and media can play a major role in addressing the current water crisis by educating the public about the value of ecosystem services and sustainable development. Eventually an environmentally-educated society will not evaluate and reward the elected officials solely based on their impacts on the economy. Through bottom-up approaches, the society can force the Iranian decision makers to change behavior, respond to the needs of the society, adopt more pro-environmental development actions, and give more power to regional water management authorities. Dr. Kaveh Madani is a Senior Lecturer of Environmental Management in the Centre for Environmental Policy at the Imperial College London, and an expert in water resources planning management in arid areas including Middle East and California. He has more than 150 publications on various water, environmental and energy management subjects, is the Associate Editor of the Journal of Water Resources Planning and Management, and has been recently selected as one of the four recipients of the Arne Richter Award for Outstanding Young Scientists in 2016 by the European Geosciences Union (EGU) and one of the ten New Faces of Civil Engineering in 2012 by the American Society of Civil Engineers (ASCE).